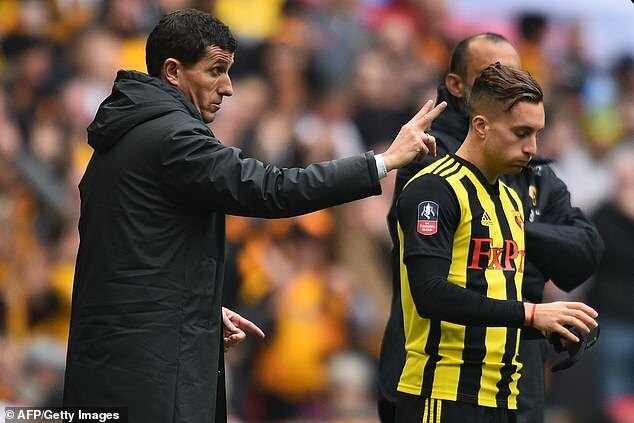 Gerard Deulofeu was ‘angry’ at being omitted from Watford’s starting line-up and went onto the pitch determined to prove his quality, said Javi Gracia. 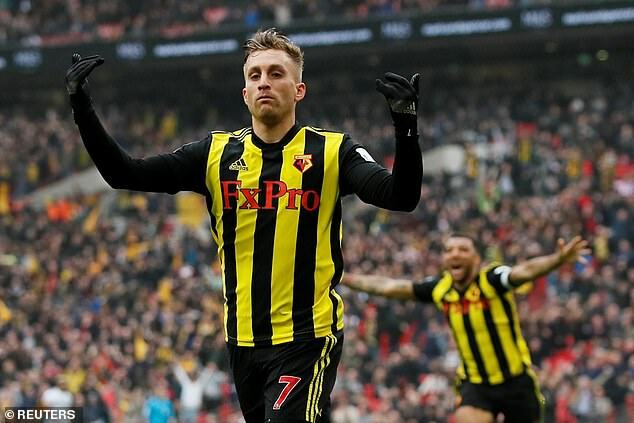 The Watford manager said it had been difficult to leave out the talented forward but his plan just about worked as Deulofeu struck a wonderful goal 11 minutes from the end to drag his side back into the contest, then scored a fine winner in extra-time. Gracia preferred Andre Gray up front with Troy Deeney from the outset but sent on Deulofeu in the 66th minute with Watford 2-0 down to Wolves and watched his side stage a remarkable comeback. Deulofeu curled in an audacious, looping effort to spark the revival. ‘That moment I think he was angry,’ said Gracia. ‘He wanted to play a semi-final, he has played almost all the games before. ‘I like to see my players this way, with that attitude, to show what they are able to do. He helped the team. The first one with high quality but it is not a surprise, because I see him with all the time in training. Gracia praised his side’s determination to keep going when the odds were stacked against them. Nuno Espirito Santo said the overwhelming emotion from Wolves was sadness. His team looked on course for victory when goals by Matt Doherty and Raul Jimenez put his side in a commanding position. However at 2-1 Leander Dendoncker fouled Deeney in stoppage time to hand the Watford captain the chance to equalise from the spot. ‘This is a very tough moment of real pain for the players, staff, and fans,’ Nuno said. ‘We had it and it went away from us, we have to look at it. We have to realise in the last minutes of the game we should manage better.